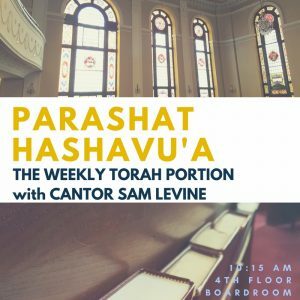 Join Cantor Sam Levine on Thursday mornings for a lively discussion of the weekly Torah portion. Traditional and modern interpretations are considered as we look at aspects of the weekly reading in new and insightful ways. Join in any time. Please call 718.338.3800 to confirm.